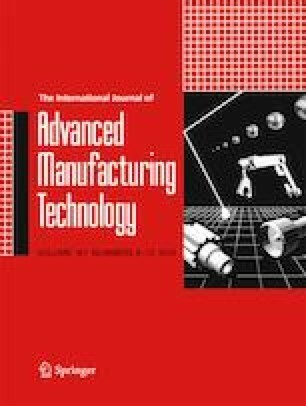 Machining of difficult-to-cut materials producing serrated chip formation has generated a significant interest among academic researchers and industry groups because of the need for understanding the fundamental mechanisms to model the process. Therefore, various analytical and numerical models have been developed in the recent past to investigate such machining operations. The slip-line theory is one of the established modeling methods, but slip-line modeling of serrated chip formation has not been investigated adequately. In this study, a new slip-line model for serrated chip formation in machining with rounded cutting edge tool is presented along with its associated hodograph. In addition, Oxley’s theory was integrated to the proposed slip-line model for stainless steel material, and the model was validated by experimental results. A good agreement between the experimental and analytically predicted results was obtained. The proposed slip-line model offers predictions of cutting and thrust forces, ploughing force, maximum and minimum chip thickness values, tool–chip contact length, chip up-curl radius, thickness of the primary shear zone, angular position of the stagnation point, shear strain, shear strain rate at the shear plane, and the prevalent flow stress. Alper Uysal acknowledges financial support from the Scientific and Technological Research Council of Turkey (TUBİTAK) BIDEB-2219 Postdoctoral Research Program.